The journal is published twice a year, at the beginning and at the middle of the year. The journal is indexed in the list of indexed journals in Ulrich's Periodicals Directory. 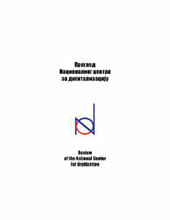 Electronic edition of the 33th issue of the NCD Review has been published. Partially funded by the Ministry of Science and Technology of the Republic of Serbia.